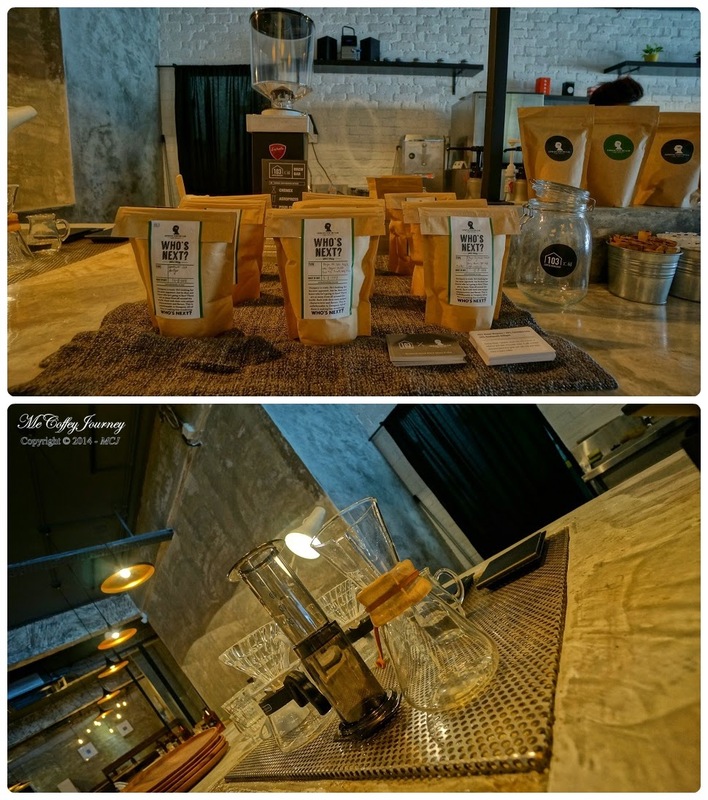 A workshop for coffee has arrived at Sri Petaling, KL! 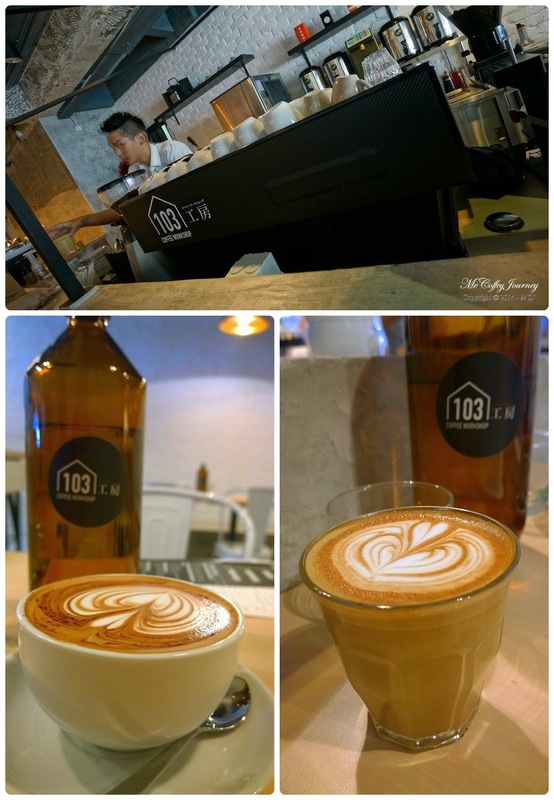 Located along the famous food and beverage streets of Jalan Radin Bagus, 103 Coffee Workshop is named after its commercial unit number, 103. Entrance with a black wooden sliding door inviting you in to relax with a cuppa. Passers-by along this road will definitely notice the compelling interior this cafe has depicted, even from the outside. Warm yellow lights shine throughout the fully cemented flooring and wall, added with white bricks, giving out a cozy workshop-y vibe, inviting them in to relax with a cuppa hot goodness. 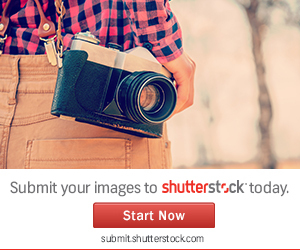 Rustic filled interior, just like in a workshop! 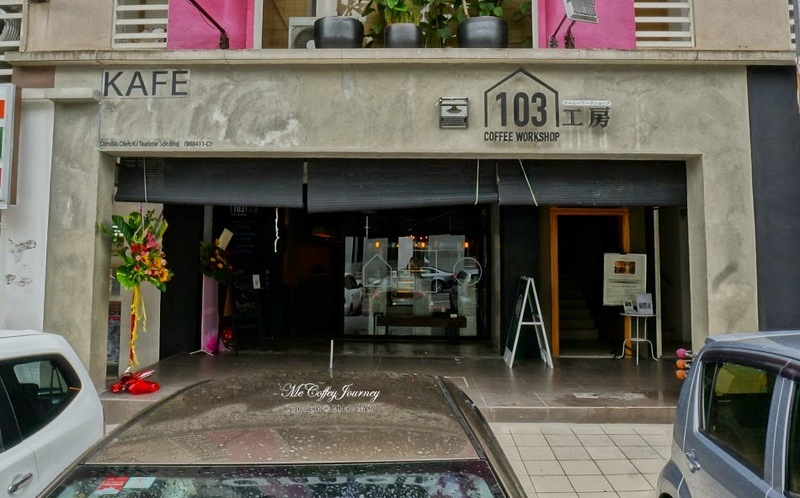 103 Coffee Workshop has ample spaces to cater for Sri Petaling clients. Cement or metal chairs are placed at the front part of the cafe, while sofas and cushions are available deeper inside the cafe. Back part of the cafe. The warm lightings are consistently lit in this cafe, giving out a warm and comfy feeling, and its bright enough for any sorts of paperwork to be done here. 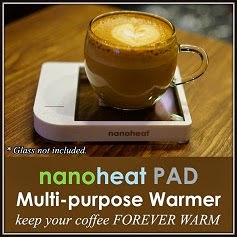 Don't believe how Nanoheat PAD can keep your coffee FOREVER WARM? Order a cuppa coffee and ask the friendly baristas to lend you a Nanoheat PAD to try it out for yourself! 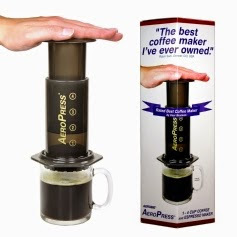 All espresso based coffee is served here, with beans supplied by Espresso Sporting Club. Its house blend is a mix of 40% Brazilian, 40% Colombian, and 20% Guatemalan, with caramel, hazelnut and dark chocolate notes. Mocha (left) and Cappuccino (right). Besides espresso based, slow-brewed coffee are served here too. 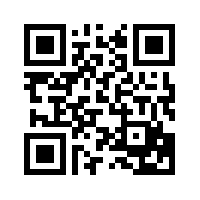 Brewing methods including Chemex, Aeropress and Pour Over, with a variety of single origins to choose from. Food served in 103 Coffee Workshop are a fusion between Japanese and western, cooked by a Japanese chef, thus no doubt in the authenticity of these Japanese dishes. 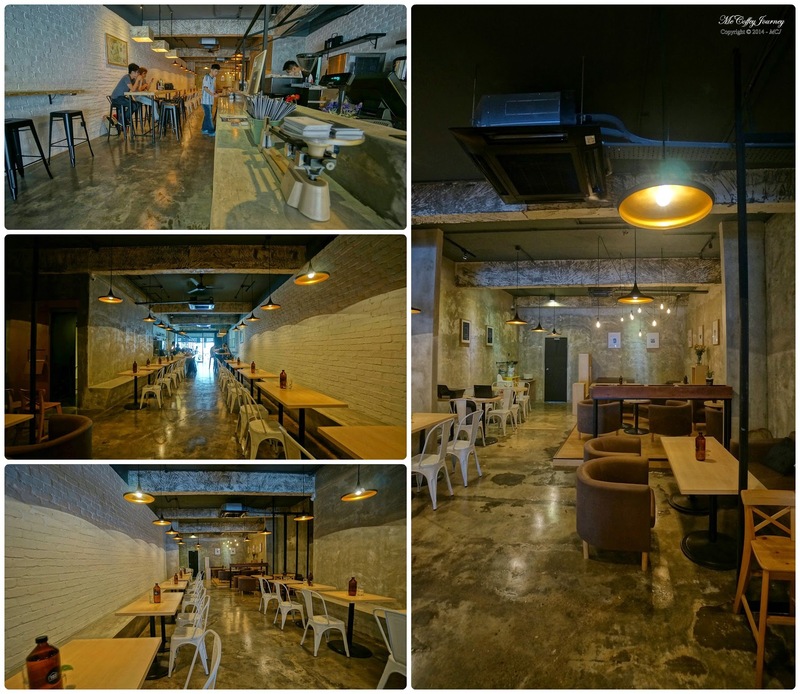 Somehow it reminds of another Japanese-western-styled cafe in Subang Jaya, Haikara Style Cafe. Daimanzoku (top) - Sausage, ham, bacon, fried purple potato, scrambled egg, sauteed mushroom, mixed salad and toast. I had the Daimanzoku, which in Japanese means big portion or completely satisfied. 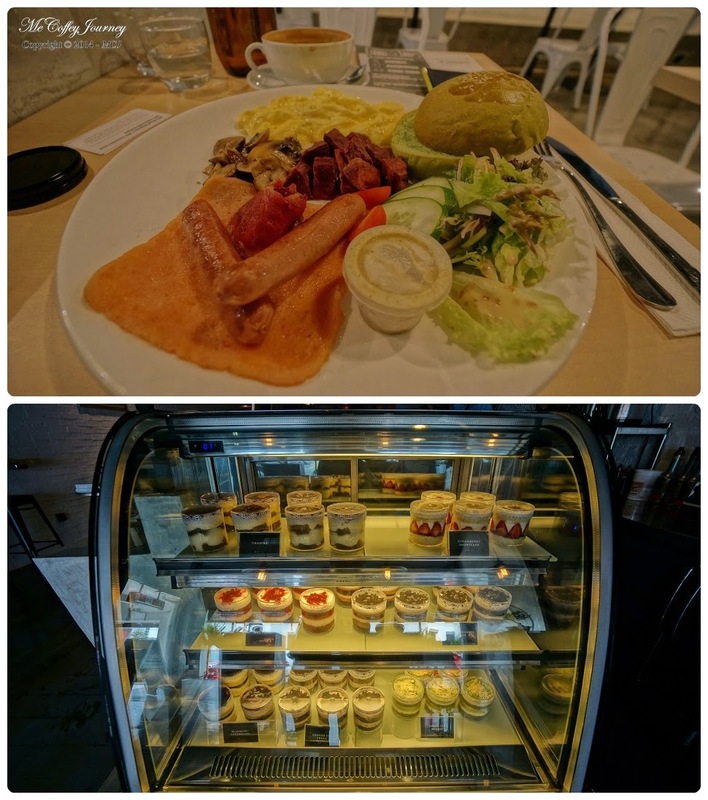 It is basically a big breakfast with a Japanese touch. The bun is matcha or green tea flavored, pretty good even when eaten by itself, or spread with the cafe's homemade garlic spread. 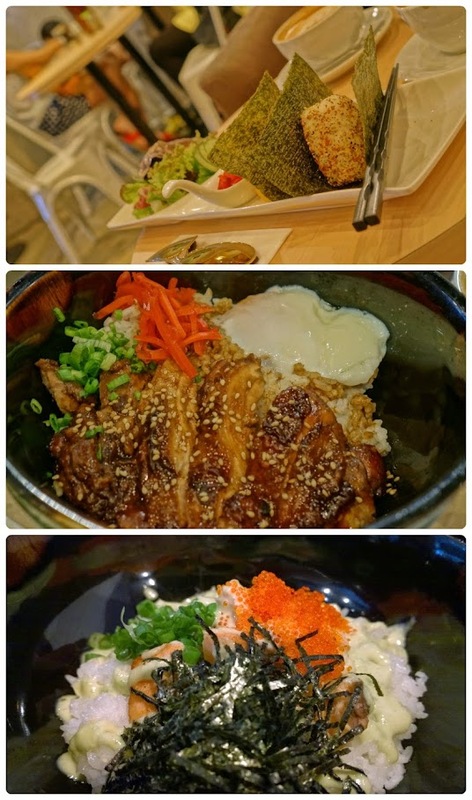 Maneki Onigiri (top) - Salmon Furikake Onigiri and Tamagoyaki served with Japanese pickles and mixed salad, Teriyaki Chicken Don (middle) - Chicken Teriyaki Rice Bowl served with Spring Egg, and Salmon Tobikko Don (bottom) - Salmon and Flying Fish Roe Rice Bowl served with Wasabi Mayo. 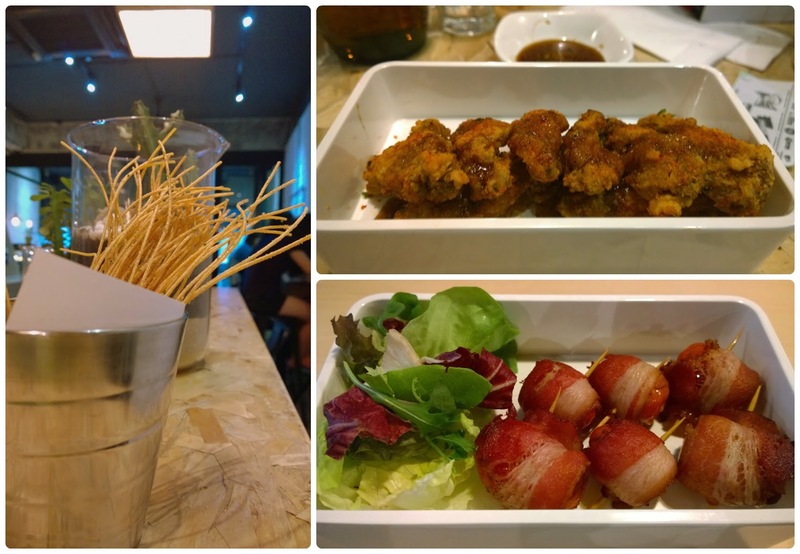 Kari Kari Pasta (left) - Crispy Fried Pasta with Homemade Seasoning, Saku Saku Teba Karaage (top right) - Fried Chicken Mid Wing served with Japanese Yuzu Spicy Sauce, and Buchi Buchi Tomato (bottom right) - Deep Fried Pork Bacon wrapped with Cherry Tomato. 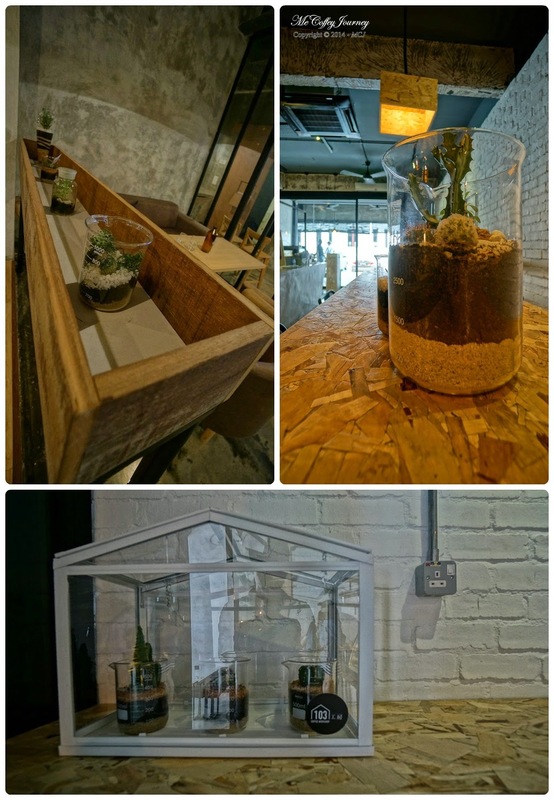 A cozy and rustic cafe with a Japanese touch to its food and beverages, adding some Asian element to the coffee scene in Malaysia.